Hedge your foreign currency trades to protect your positions and make a profit. 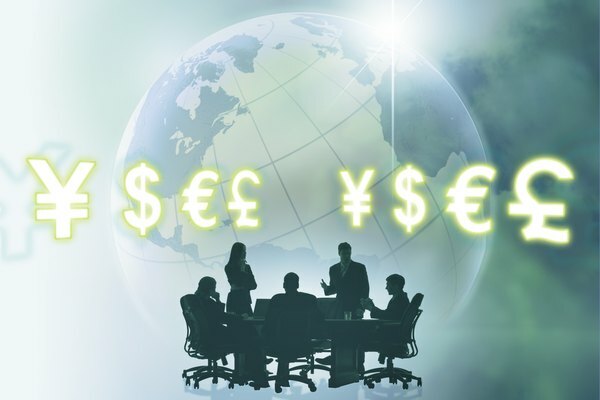 Hedging a Forex -- or foreign exchange -- trade does more than just protect your open position. It sets you up to profit no matter which direction your currency pair moves. Forex hedging strategies also act like insurance policies to protect your trade against an unexpected market move. You can hedge your Forex position by trading binary options and currency futures contracts or by using correlated currency pairs and account rollovers. You can select a hedging strategy that protects your position in a cost-effective manner. As their name suggests, binary options work on a simple yes or no basis. The currency pair price will be either above or below your initial purchase price. For example, if you buy -- or go long -- on the EUR/USD (euro/U.S. dollar) currency pair and want to hedge the position, you would sell the EUR/USD binary option. If the EUR/USD currency pair dropped in price and your long position lost money, your binary option would make money. Some Forex brokerage firms offer binary options that expire on an hourly, weekly or monthly basis. Using currency futures contracts as a hedge can help you capture large moves in the currency market. Forex currency futures contracts expire quarterly, and you can keep your position open for up to 16 months. Currency futures contracts hedge your position over the long term. For example, if you buy the GBP/CHF (British pound sterling/Swiss franc) currency pair, you can hedge the trade by selling a GBP/CHF futures contract that expires a year later. You must open an account with a commodity trading firm and establish a margin account to hedge using currency futures contracts. You can hedge your Forex trade through currency correlation. Currency correlation measures how a currency pair moves compared to another currency pair. Currency pairs that move in the same direction have a correlation from +60 to +100. Currency pairs that move in opposite directions have a -60 to -100 correlation. To hedge your trade, select a currency pair that moves opposite your other position. For example, if you buy the GBP/USD currency pair, you would buy the USD/CAD (U.S. dollar/Canadian dollar) currency pair. If the GBP/USD currency pair trade moves against you, the USD/CAD currency pair increases in value, because the two currency pairs move opposite each other. If you keep your position open overnight, Forex brokers pay you interest on your long trades and some brokers charge you interest on the currency pairs you sold, or shorted. This is known as the rollover, or swap, rate. You want to open a second account with a broker who does not charge interest on your short positions. For example, you could buy the EUR/USD currency pair in one account and sell the EUR/USD in the other account that does not charge for holding short positions overnight. Each position hedges the other, and you earn interest at the same time.